Roll Stickers / Decals are sure to draw attention and get your message across!. 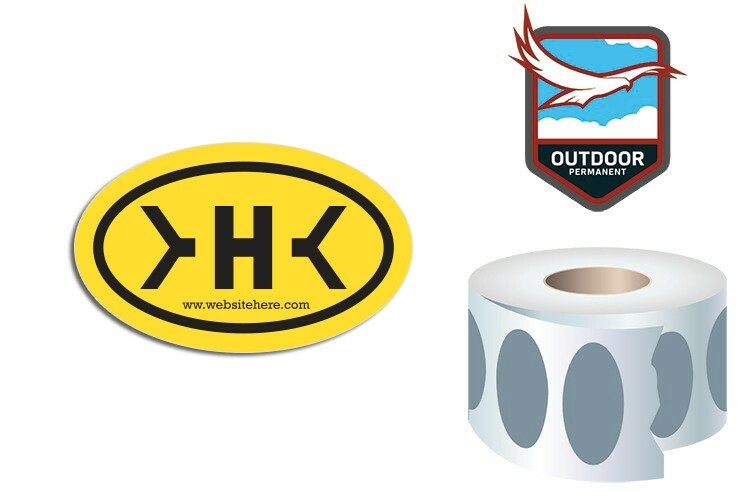 These custom shaped stickers, decals, labels come cut to size on a roll and ready to be handed out. They are very durable and printed in beautiful full-color (four color process). They can be stuck on any smooth surface. Price includes printing in full-color (four color process).Exact color matches, metallic and fluorescent colors not available in full-color. Custom Backer Imprint not available. Final roll quantity will be dependent on total order quantity..